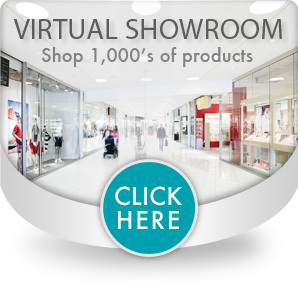 Ideal for balance and proprioceptive exercises. Ideal for core strengthening, stability, ankle range of motion, flexibility, sensory-motor training, ankle/knee injury prevention, strengthening and closed kinetic chain exercises. 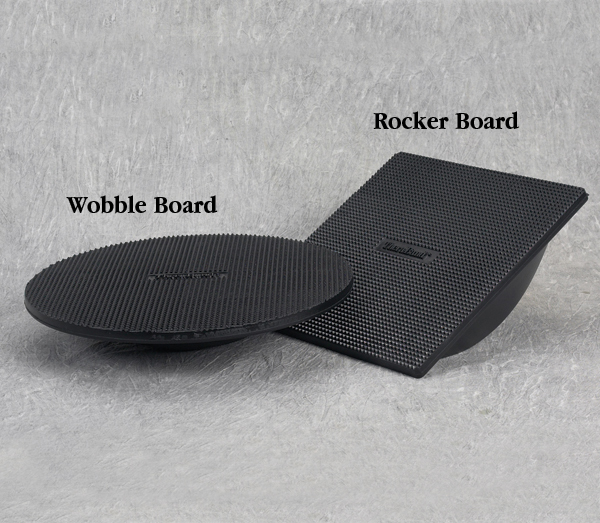 Boards are made of black, molded high-impact plastic with a specially designed tactile surface on the top, and an anti-skid surface on the bottom. The Rocker Board is ideal for single plane movement for increased patient control during use. The Rocker Board measures 13-1/8" x 14" (33 x 36cm) with a 30° angle of deflection. 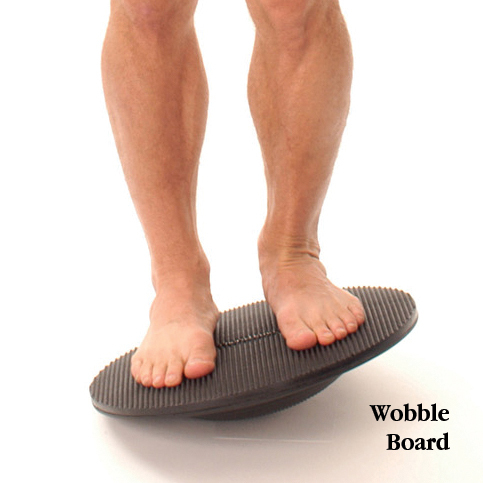 Use the Wobble Board for multi-plane movement that increases patient challenge during use. The Wobble Board measures 16-1/8" (41cm) in diameter with a 22° angle of deflection. Both models include an instruction manual with over 37 exercises. Boards support up to 300 lbs. (136kg).